Zen finds its origins in the teachings of Shakyamuni Buddha, who lived in India in the 6th century BC. He taught that sitting in the lotus position is both practice and realization. Through the centuries, this practice has been passed around from master to disciple. Zen has its roots in China (6th century AD) and later in Japan (13th century AD.). 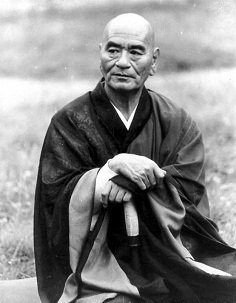 Master Kodo Sawaki did not teach in monasteries but in the heart of society and made zen accessible for everyone. 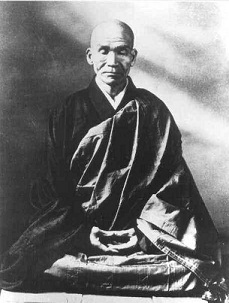 At his request his disciple Taisen Deshimaru settled in Paris in 1967 to teach Zen in the West, where he remained until his death in 1982..
Taisen Deshimaru founded a Zen temple, the Gendronnière and many dojos throughout Europe. Master Kosen is one of the successors of Master Deshimaru.. 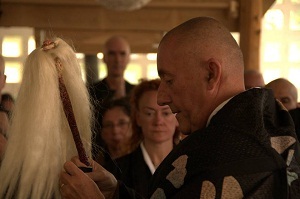 Under his leadership practices a thriving sangha in dojos both in Europe and in South America. In Amsterdam there is a daily practice in Zen Dojo Amsterdam – Gyo Kai. Each year (usually in June), there is a sesshin in the center with Master Kosen. There are also sesshins, zazendays led by disciples. Every Sunday there is a free introduction to get known easily with the practice. For more background, there is an introduction course.